*This offer is only available at the Romford branch of Nuffield Health. Promotion opens at 13:00:00 on 30/01/2019 and closes at 23:59:59 on 18/02/2019. 1. 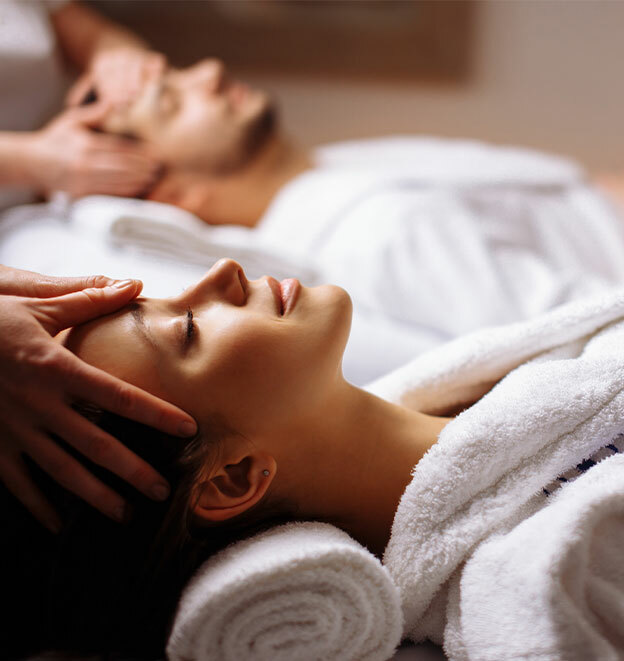 This promotion is for a spa package for 2 people at Nuffield Health Romford. 4. No purchase is necessary, but there is only one voucher per person. 7. There is a total of 1 collective prize to be redeemed within the promotion. 8. All images are for illustrative purposes only. 9. The prize is non-transferable, and it may not be sold or advertised for sale. 10. No cash or alternative option will be provided for prize. However, the Promoter reserves the right to substitute it with a similar discount of equal or greater value should it become necessary for reasons beyond their control. 11. The Promoter accepts no liability whatsoever for any losses of damage to the claimed voucher. This does not affect user’s statutory rights. 12. Except as otherwise required by law, the Promoter accepts no responsibility or liability for lost, late, damaged, corrupted or misdirected entries or claims and the Promoter is not responsible for any late or misdirected delivery of communications (email or otherwise), except in the event of willful intent on the part of the Promoter or its agents. 13. By entering this competition, you agree to these term and conditions, which will at that time become binding between you and the Promoter. By entering you agree to have your photo taken for The Brewery social media and marketing purposes. In the event of circumstances outside the reasonable control of the promoter, or otherwise where fraud, abuse, and/or an error (human or computer) affects or could affect the proper operation of this promotion or the awarding of the prize, and only where circumstances make this unavoidable, the Promoter reserves the right to cancel or amend the promotion or these terms and conditions, at any stage, but will always endeavour to minimise the effect to participants in order to avoid undue disappointment. 14. The Promoter reserves the right to verify all vouchers, and to refuse to award a discount or withdraw prize entitlement and/or refuse further participation in the promotion and disqualify the participant where there are reasonable grounds to believe there has been a breach of these terms and conditions or any instructions forming part of this promotions entry requirements or otherwise where a participant has gained unfair advantage in participating in the promotion or won using fraudulent means. The Promoter will be the final arbiter in any decisions and these will be binding and no correspondence will be entered into.